Innovative design + state of the art engineering. 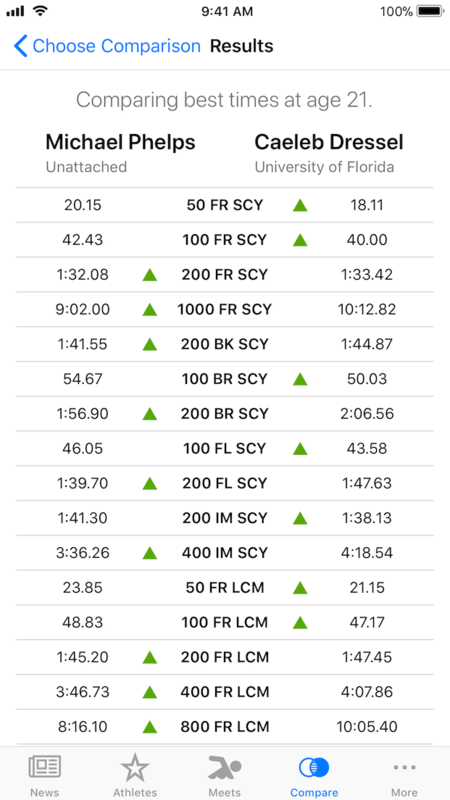 Dive into Swimmetry™ to get the latest swimming news, race metrics, and live meet results right at your fingertips. Get the most out of the sport you love. 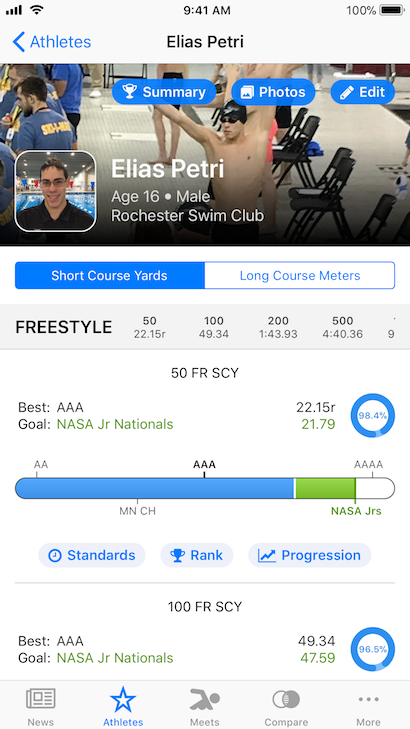 Search for any USA Swimming athlete, then choose your favorites to get updates whenever they compete in a meet or acheive a goal. 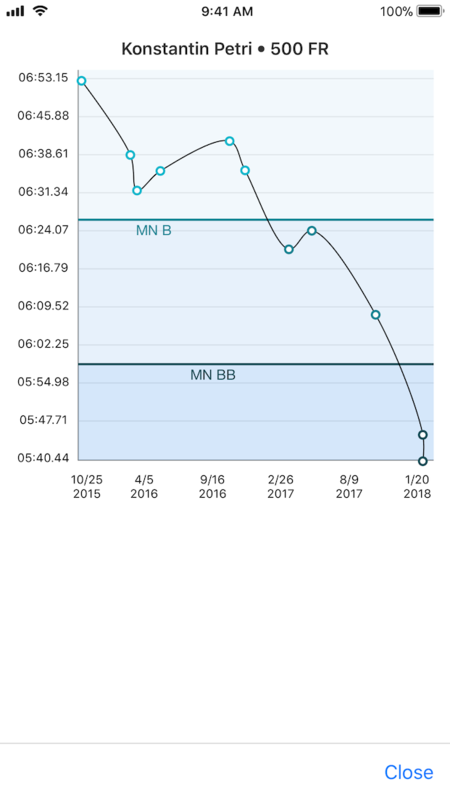 Analyze a swimmer's races, track goals and time standards, and view progressions using Swimmetry™'s unique data visualizations. Compare two swimmers head-to-head in lifetime bests, season bests, or best times at the same age. Or see how a swimmer has improved over the past year. View live meet results with integrated time standards. Plot a swimmer's personal bests against LSC, National age group, and meet qualifying standards such as Speedo Sectionals and Junior Nationals. Visualize progress toward their next big cut. 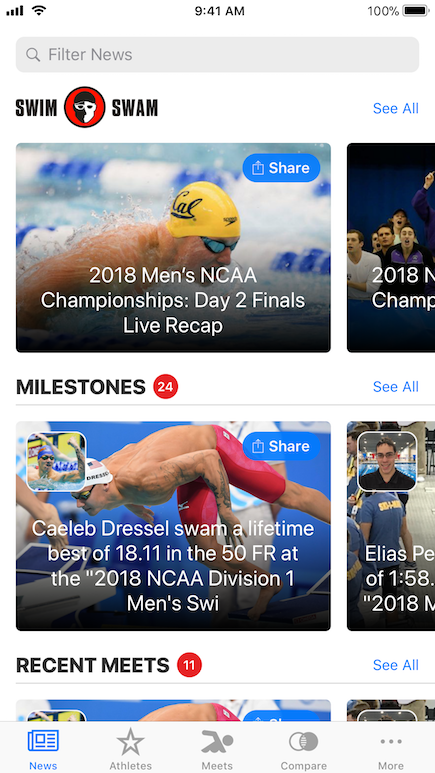 Get recent news from SwimSwam and keep up with your favorite swimmers in your personalized news feed. How do you stack up against your friends? Your rivals? The greatest of all time? Compare lifetime bests, season bests, or best times at the same age. Or view a swimmer's progression over the past year. 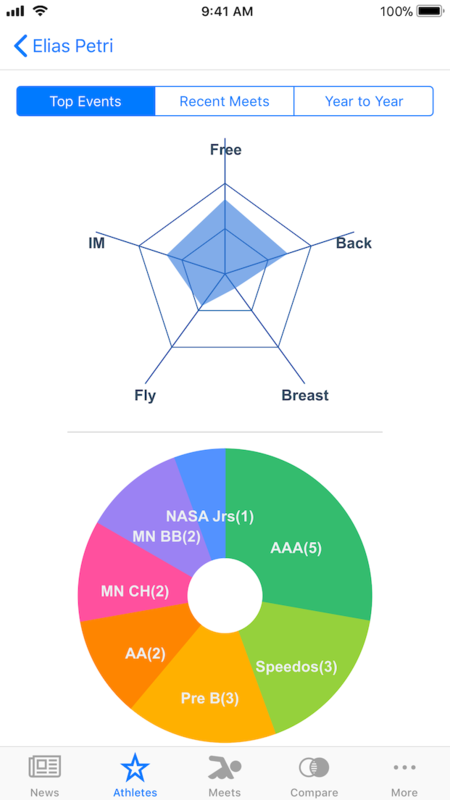 Results are depicted graphically to show how a swimmer has improved over the past few seasons. 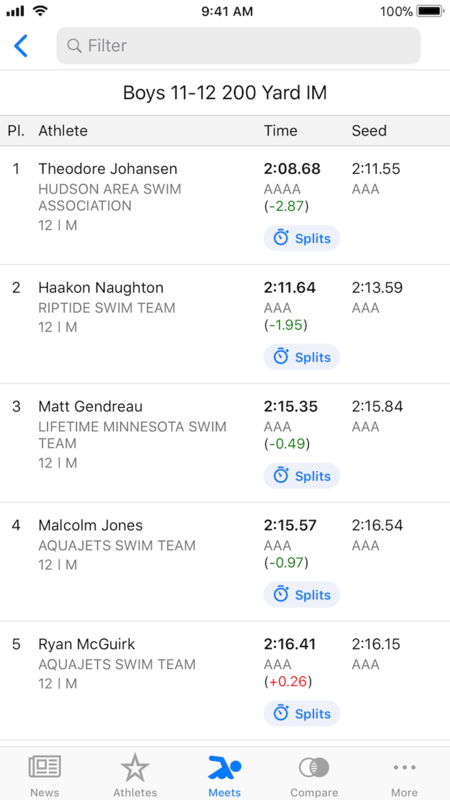 View live meet results with integrated time standards specific to your LSC, so you can instantly see if a swimmer made a cut. See where a swimmer ranks within the top 100 in their specific LSC and age group for each event. 10KLakes™ designs and develops applications for the web and mobile platforms using the latest technologies and standards. Please contact us if you have a customer support issue or would like to inquire about our development services. If you have feedback, need technical support, or just want to learn more about what we do, we'd love to hear from you.